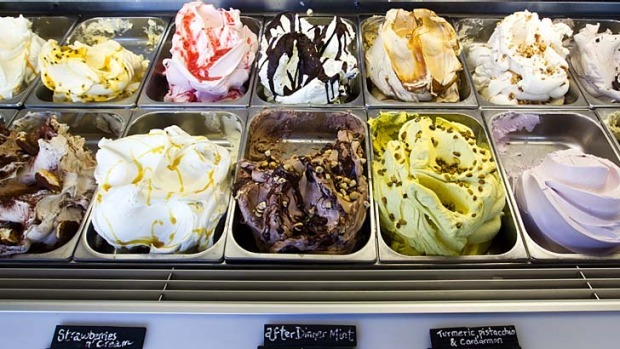 Punters may line up around the block for a taste of Gelato Messina, but another Australian gelateria has been hailed for producing the world's best. Sydney's Cow and the Moon trumped ice-cream artisans from all over the world on Sunday to take out the Gelato World Tour title in Rimini, Italy. 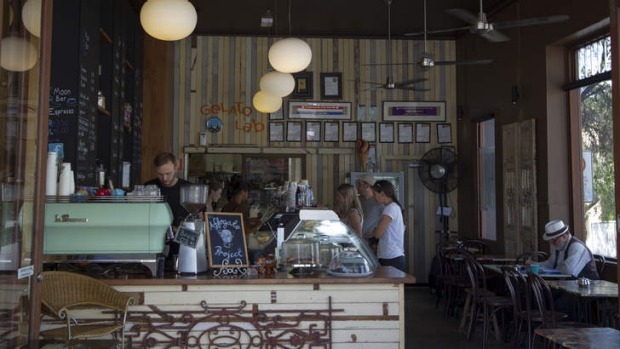 The family-run gelato and coffee bar, based in Enmore in Sydney's inner-west, won for their mouth-watering almond affogato flavour, a re-creation of the classic affogato. It combines caramelised almonds sourced from Italy with single origin coffee on a Madagascan vanilla base. Owners Wendy and John Crowl held a special night at their gelato bar for regular patrons to help decide which blend of coffee to use. After placing second in the Oceania category last year, Cow and the Moon went on to beat 23 other finalists from around the world in a combination of technical judging and public votes. Two other Australian teams competed, Gelato Messina and Frangipani Gelato. Second and third places went to two Italian teams. Francesco Mastroianni of Il Cantagalli was ranked No. 2 and Alessandro Lancierini of Gelateria Fiore, No. 3. Cronulla's Diana Kontoprias from Frangipani Gelato received a special award for her twist on the pavlova. Her gelato interpretation featured a meringue-flavoured base, passionfruit puree and meringue pieces folded throughout. Donato Toce and Simone Panetta represented Gelato Messina, which has stores in both Sydney and Melbourne, with their flavour Cremino. A salted caramel gelato with house made gianduia fudge, fresh meringue and crushed amaretti biscuits folded throughout. It won them first place in the Oceania round. 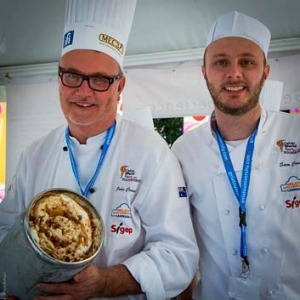 Held by SIGEP and Carpigiani Gelato University, the Gelato World Tour Oceania round was hosted in Melbourne in October. The top three artisans were chosen out of 16 Australian and New Zealand competitors to travel to the finals in Italy. There the competitors faced scrutiny from the technical jury, a media jury, plus public tastings.